It’s been a year since Twitter introduced a way for brands to promote other apps, but the additions are still rolling through. 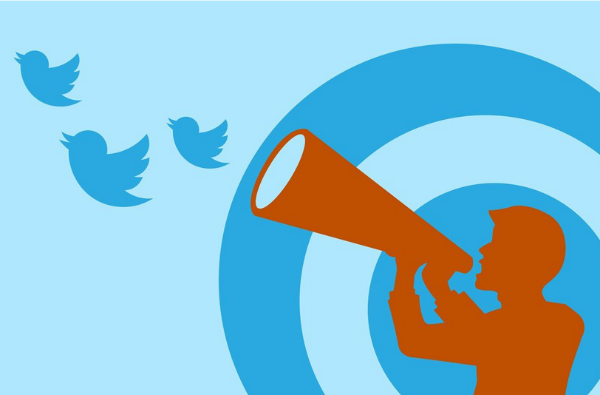 Promoted Tweets have never been a better tool for marketers than they are today. Twitter ads are becoming a better investment for conversation engagement, app installations, and lead development. Mobile opportunities have flourished, and tapping into Twitter’s always-on audience is one of the best ways to spend ad dollars across all devices. This evolving toolkit provided by Twitter gives marketers an opportunity to get a head start as the competition plays catch-up. With each feature update, Twitter ads get smarter and smarter, constantly offering new insights on the campaign dashboard. We did the homework for you: here are all the new features your brand should be using in your Twitter ads. Just last week, Twitter officially announced a new way to manage ad performance on their phones. Since tweeters never sleep, marketers can now monitor impressions, engagements, cost, and consumer spending at any time of day. Bids, budgets, and schedules can also be managed via mobile devices. This provides social media managers an opportunity to analyze trends in real-time, from any location or device, and execute campaign adjustments more regularly. Earlier this month, Twitter launched a new way for brands to better target their audiences with personas. Additional audience insights give brands a new look into who their campaigns are reaching. This data offers valuable information on demographics, interests, mobile footprint, and spending habits, allowing marketers to target their ads more effectively and grow ROI. This information augments the data already available to attract leads to offer more complete user profiles while keeping information private. Now brands can learn more about people who have visited their website, customers from their CRM database, or see who has taken certain actions within apps, such as an install, purchase or sign-up. Brands can compare data of reached users to those who have engaged, as well as study the demographics and online behaviors of users who have converted in the past. This performance information does not have to be limited to just Twitter. These insights can help shape your entire mobile strategy to better target the elusive millennial college grad sports fan, or just their moms. In June, Twitter introduced app category targeting, which divides Twitter users by what apps they have downloaded and are likely to download. This information is used to better target apps promoted on Twitter by their placement in the app store. For example, users likely to download games can see a company’s newest release, while Twitter users who favor finance apps will only see the latest mobile banking tools. For app developers, this truly is an advantage for being discovered by new users when the App Store’s top charts are so extremely competitive. The value of Twitter’s ad cards grew exponentially with the introduction of the carousel. This recent feature allows for up to twelve ads to be shown in a single location where users can swipe through the promoted tweets. This gives advertisers more room to scale the conversions in their campaigns, tell unique stories, and expand value with additional content tailored around personal interests. And the digital conversation behemoth isn’t stopping there. As users continue to follow, tweet, and spend, Twitter will continue to create a more valuable and engaging environment for consumers and brands alike. Ensure your brand is ready to stay visible and engaging with a comprehensive social advertising strategy.